Have you heard the news about video yet? It becoming a vital part of content marketing. YouTube is the second most trafficked site, after Google and according to Cisco, by 2020, online videos will make up more than 80% of all consumer internet traffic. 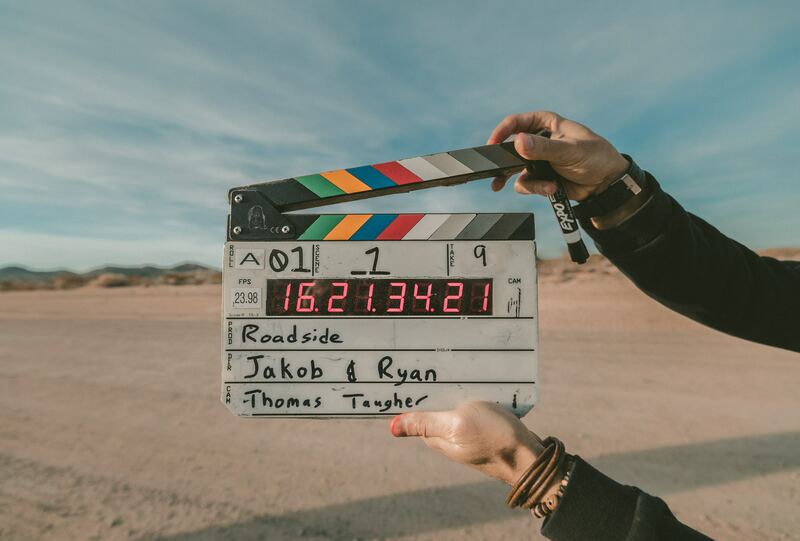 It’s clear that video is a great tool for content marketing and that it’s what users are demanding, but you probably already knew that, so here are 5 great video marketing examples to give you some inspiration for your next campaign. Blendtec seems like the obvious place to start. They have proved that there is no such thing as a boring industry and that video works no matter what product or service you are trying to sell. Blenders are probably one of the duller products on the market – but start putting unusual stuff in them, they suddenly become a lot more interesting. Blendtecs video marketing campaign is what put them on the map, and while certainly not everyone who watches their videos is going to buy a blender, they have definitely built a lot of brand recognition. Their YouTube channel now has over 879K subscribers, with their videos still receiving hundreds of thousands of views. It’s not just subscribers and brand awareness that their video campaigns have built. They saw a massive ROI for their videos, with a 700% increase in sales over a 3 year period. Moz approaches their video marketing in a slightly different way, rather than trying to sell anything they use video to establish themselves as a thought leader within their industry. Every week, Moz host its educational video series called ‘Whiteboard Fridays.’ The host uses this as an opportunity to share their knowledge on all things SEO. By having a regular series and using knowledge from experts, Moz has become the go-to for any and all SEO questions. Another element of their series success is that the Moz team are active in the comments section on their posts. They have built a great relationship with their audience and if you write a comment you can actually expect to get an answer, which leads to regular engagement. Anyone who has social media is thoroughly aware of just how addictive Buzzfeed’s video content can be. Whether its breaking news, funny memes or new recipes, BuzzFeed’s marketing team are social media savvy and able to put together engaging bite-size videos that make their audience stop scrolling. BuzzFeed knows that social media distribution is the key to their success and create content that will appeal to their audience’s interest – putting a focus on engagement and value. They have such a varied audience that they have created an umbrella of content with a number of different subtopic underneath it such as Tasty, Celeb, News and have given them all their own Facebook, Twitter, Instagram and YouTube pages, meaning their audiences only get content they want to see on their feeds. This intuitive way of thinking about what their audience wants, and creating of high-quality content that works on the platform it is being viewed on (in BuzzFeed’s case, mobile) has led to a staggering 3 billion video views a month on BuzzFeed. Airbnb is a company who has utilised content marketing to thrive and their video marketing is doing just as well. They use strong storytelling in their videos to create a sense of community and build trust in the brand. Through their videos, they humanise their brand and they build relationships with their audience by creating regular video content for their YouTube channel every week. They also use video as their main form of communication with their audience, for large company announcements, rebranding and even for PR crisis’. Rather than shy away from the scandal, they used video to apologise, explain and cut through all the gossip. Not to brag or anything, but we’ve put together a few great video marketing campaigns in our time as well. One of our favourites is a campaign we created for Youth Employment Skills. The aim of the campaign was to boost signups for their service and we did just that – they had a 1,425% increase in signups as a result of the videos. The targeted audience was hard to reach and wouldn’t want to listen to content created by people that assumed to know their needs. The brand was also unknown and the budget was extremely limited meaning we had to get creative with video ideas. We achieved such great results by working with influencers at The Wall of Comedy to create funny, authentic video content that was specifically targeted at Facebook users as that was where the audience was spending time online. Learn everything you need to know about influencer marketing with our definitive guide.